Lock in a great price for Guest House Pirelli Milano – rated 8.3 by recent guests! Everything was nice and tidy, room was spacious with nice beds. Staff was very friendly and helpful. 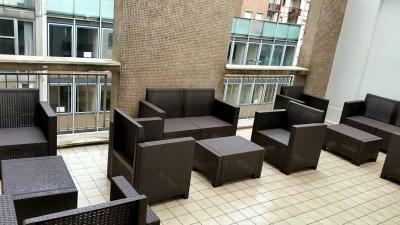 Location is very good, 3-4 min walking from Milano centrale, 15-20 min to centar. Stuff is very helpful and kind. Is was clean. 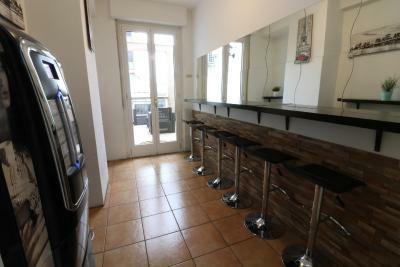 Near to central train station and subway station, it’s good location! Nice staffs! Good location, clean, kind staff, spacious room. Nice cable TV and good wifi. Only minutes walking from Central station. The location, it was very near the Metro and very easy to go to the city. We had to leave early in the morning and they packed a breakfast for us. The phone was An outstanding host. Very accommodating and helpful with a wonderful property in an idyllic setting. 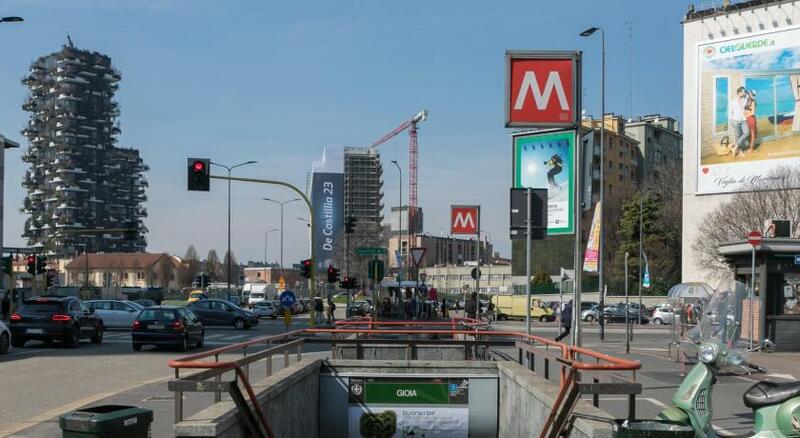 Guest House Pirelli Milano offers accommodations in Milan, 800 feet from Gioia metro station and a 7-minute walk from the Milano Centrale train and metro stations. It features free WiFi throughout. 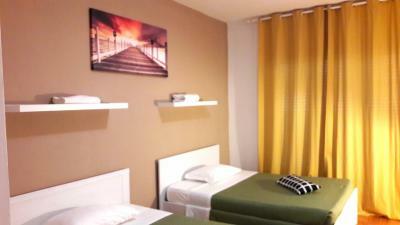 The colorful, simply furnished rooms all come with a shared external bathroom and air conditioning. They offer parquet floors, satellite TV, and a city-view balcony. A sweet Italian breakfast is served in the morning. 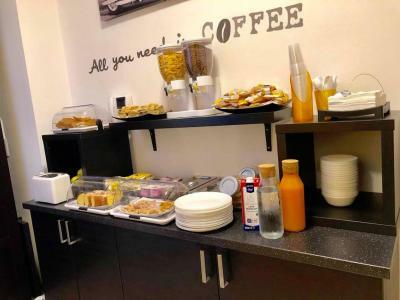 Guests of the Pirelli also have access to a snack bar and a 24-hour front desk. 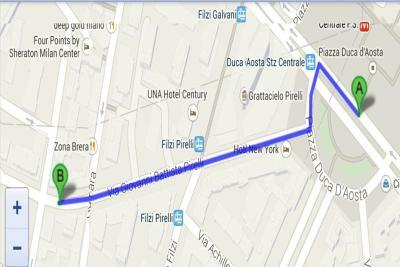 Sforzesco Castle, the Cathedral, and Teatro alla Scala theater are all within 1.9 mi of the Guest House Pirelli. Milano Malpensa Airport is 31 mi away. 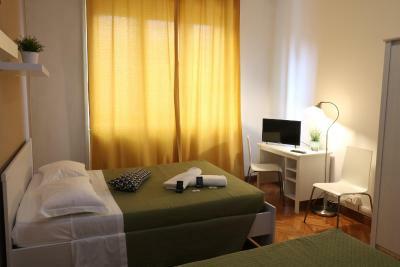 When would you like to stay at Guest House Pirelli Milano? This room comes with a shared external bathroom and air conditioning. It includes parquet floors, satellite TV, and a balcony. House Rules Guest House Pirelli Milano takes special requests – add in the next step! Guest House Pirelli Milano accepts these cards and reserves the right to temporarily hold an amount prior to arrival. Bathrooms are separated from the room, although very clean. Breakfast was very simple and included mostly sweets. 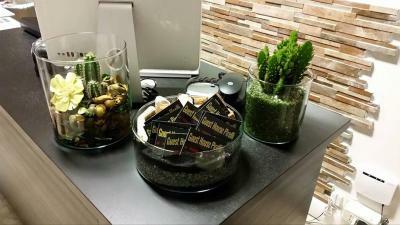 The receptionist was a nice person and the room was clean and modern. The beds were comfortable. Breakfast was basic but good enough. 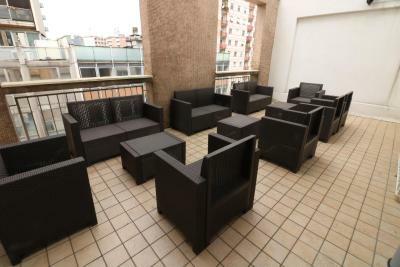 The property was very near the Stazione Centrale, Principal attractions of Milan were near too. The metro can take you anywhere. The pillows were tough and there were some hair on them. Shared bathroom - 2 of them. Good location. We arrived after 1 am and were able to check in without problems. A bit hard to find the place - you have to call from downstairs and walk up to the 3rd floor. Room was with a TV and balcony. Recommended for 1 night stay if arriving late. 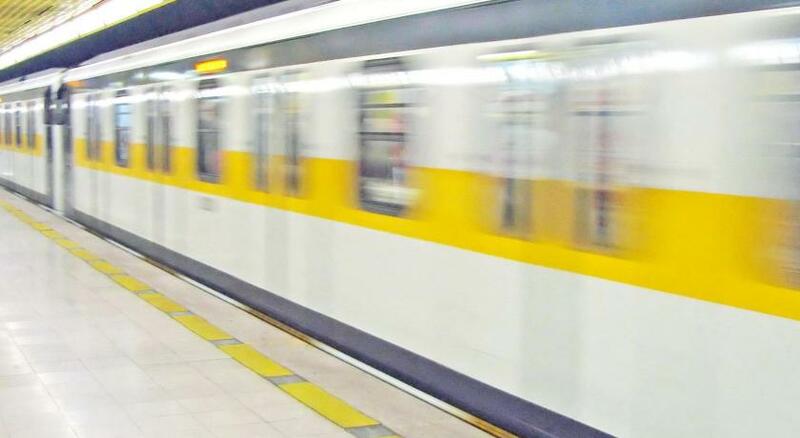 Constant metro vibration. In know its weird since its the third floor and metro station not so close but I guess its not very deep. I do recommend to install a mirror in the room. No need to occupy the bathroom then. Location good. Close to the central station. 7min walk. Metro line to Dom 4 stations only. A few bathrooms alwys one available. Showers and bathrooms are shared, but the price is high. Towels and supplied bathroom products, house cat. Good location. Clean room, cleaning everyday. 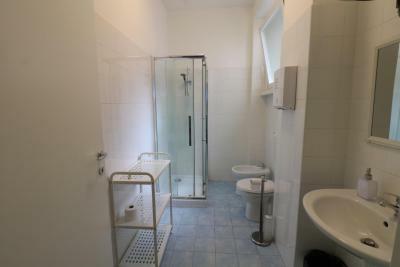 Perfect location, good looking room, very clean bathroom, they cleaned it few times per day. Staff working 24 hours, good as we arrived at 2am. One of the beds wasn’t made when we got there, walls were dirty and it was pretty noisy. Staff was really nice and helpful, location was very good, really close to central station. It was really noisy, you could hear everything what was going on in the hall, room was small and when you were moving in bed everyone could hear it. Disaster. 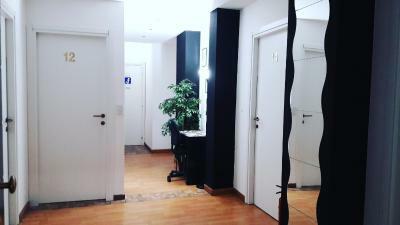 Clean bathroom and the staff, also the location is really good, so close to the main station. Very nice staff - we were welcomed by an Ucrainean who spoke Romanian! He was very kind and helpful with information. The room was big, clean, with very cosy double beds. We also had a small terrace, which was very nice. 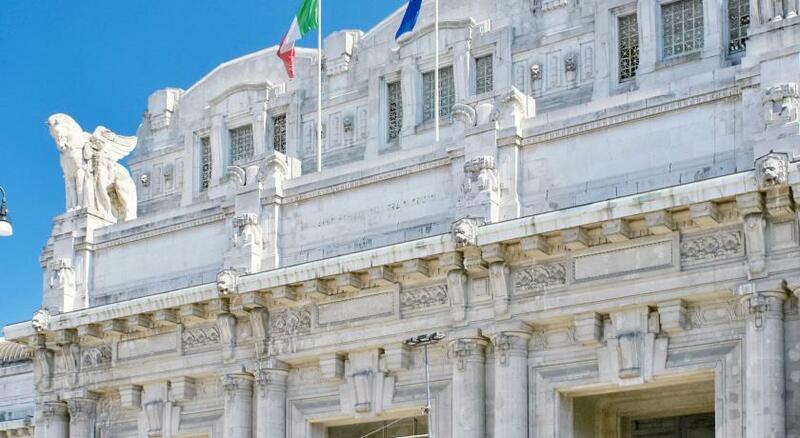 A great place to stay near the Milano Centrale Station. it might be annoying for some people that the doors are thin but its really all good!